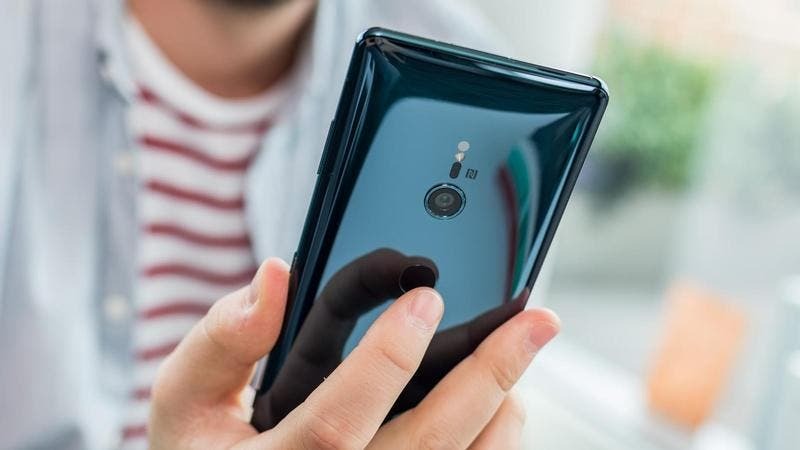 The Sony Xperia XZ3 has failed to impress the reviewers from DxO Mark, and, for everybody surprise, they’ve failed to best the score achieved by the Xperia XZ Premium from 2017. Curiously enough, the handset barely beats the mid-range Xperia XA2 Ultra. While the Xperia XZ3 was praised for nailing the exposure and producing images with a good texture and pleasant color. The photos are rich in detail if shot in well-lit environments, however, this quality decreases by a huge margin in darker environments. Auto-focus gets slower in the dark, taking up to half a second to just focus in an object, saturation also gets boosted to high levels, white balance becomes less accurate and the details are poor. In addition to this, even though the Xperia XZ3 has a better performance in well-lit areas, it doesn’t mean that the camera doesn’t have problems during the day. Its dynamic range is not wide as other flagships in the market, and the corners have issues – corner softness as well as increased noise. Furthermore, the lack of built-in bokeh mode also hurt the phone. Artifacts like ringing and other flaws mean the still camera gets a score of 76. The video-recording performance scores 85, thanks to a capable electronic stabilization (EIS), combined with a good image quality that shows just a few artifacts. However, the dynamic range isn’t good here too, and the sluggish auto-focus isn’t good at tracking objects at low light. 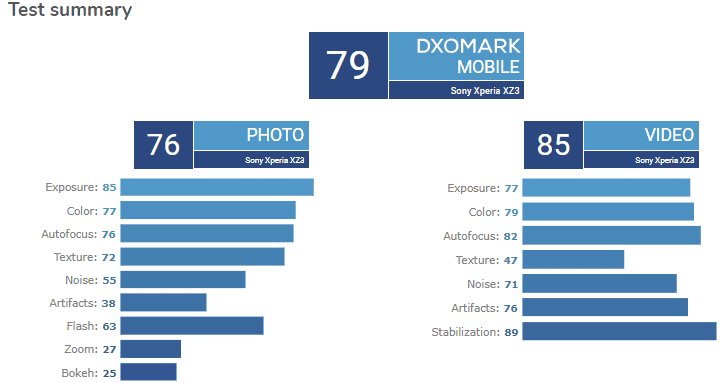 So far, the Xperia XZ3 achieved a score of 79, while the 2017’s Xperia XZ Premium hit 83, and the Xperia XA2 Ultra got 75.